It is no coincidence that the date chosen to present our new KRION® website occurs at the same time as CERSAIE, an important trade fair for PORCELANOSA Group, where new colours will be presented, as both are very important events for KRION®. A new feature of the website that we would like to present is the BIM library, which in itself is a giant qualitative and differentiating leap. We are also proud to present the new KRION® corporate video, in which the most important features of our material are highlighted: human value, KRION® installations, and projects created; as well as a declaration of intent, to improve levels of excellence. 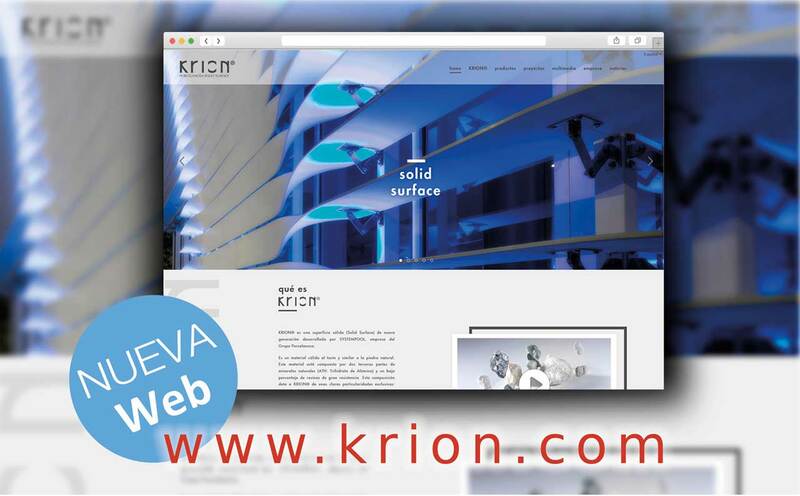 We recommend you to take a look at www.krion.com, where you will be able to download catalogues, see images of finished projects, and visit the KRION® showroom with an interactive 360º tour. This and much more awaits you on the new website of KRION®, the Solid Surface from PORCELANOSA Group. …….. Oh, and don’t forget our NEWS section, essential for staying up to date on the world of KRION®. We are taking this opportunity to inform you that during the week we will present the new products from CERSAIE 2015.